"IN ANCIENT TIMES CATS WERE WORSHIPPED AS GODS. THEY HAVE NEVER FORGOTTEN THIS." 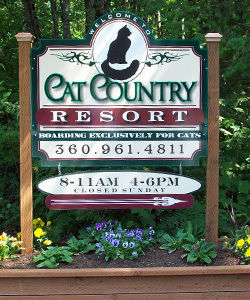 Cat Country Resort is a Five-Star Cat-Only boarding facility Servicing, Bellingham and the surrounding communities. 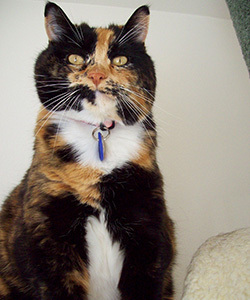 We provide the highest level of care and services to all of our customers and their cats, at an affordable price. Located on the edge of Lynden and Everson, near Bellingham in Washington State. This beautifully landscaped private residence, in a peaceful country setting, was designed with your cat’s comfort, health & safety in mind. 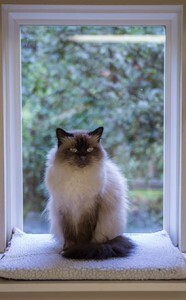 Our goal is to make your cat’s stay with us a pleasant & positive experience. We aim to make you as thrilled with your cat’s stay here at Cat Country Resort as we are sure your cat will be. 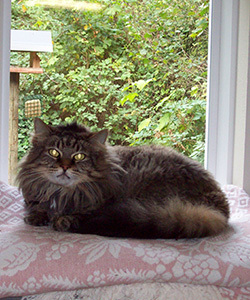 Cat Country Resort Owner, Carol Tribe, has many years of experience as a veterinary technician and has worked in a family-owned cat boarding facility in England. Cat Country Resort LLC, is a family owned facility. We work hard to maintain high standards, giving individual care and attention to each cat entrusted to our care. We are Veterinary approved. 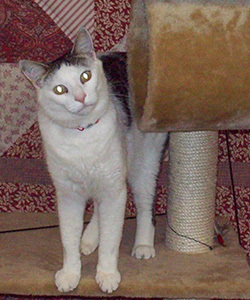 We are able to care for special needs cats requiring medication, shots and special diets. We offer a pick-up and delivery service and we welcome Tours, please call to set up an appointment, we look forward to your visit! Thank you so much for the care and love you gave Missy. It was wonderful I found your super wonderful Cat Resort to care for our cat. I was at ease and able to enjoy our vacation knowing she was well taken care of. She is now relaxing after her resort vacation. I will tell everyone about you so they can bring their Kitties to see you. You are a loving and special person to do what you do. I will give you a call when we go away again and another thanks for letting me call you every day to ask about Missy. We wanted to thank you for taking such good care of our Kitten all these times. I know she is well cared for by someone who really loves and cares about all the cats. Your Cat Resort is truly a very special place, clean and inviting and we just wanted to tell you how very appreciative we are to be to be able to bring our Kitten to Cat Country Resort. We want to thank you for taking such good care of Phoebe & Louie while we were out of town. Both of them really enjoyed themselves and we know this because they had no interest in leaving Cat Country Resort when we picked them up. Phoebe was content on her window shelf and Louie was enjoying the play area! Thank you for showing our cats the same care, concern and love that they would have gotten at home. It felt really good to leave on vacation knowing that our cats were in great hands. We will not hesitate to bring our cats back to the Resort. All information provided is provided for information purposes only and does not constitute a legal contract between Cat Country Resort LLC and any person or entity unless otherwise specified. Information is subject to change without prior notice. Although every reasonable effort is made to present current and accurate information, LinkNow!™ Media makes no guarantees of any kind.